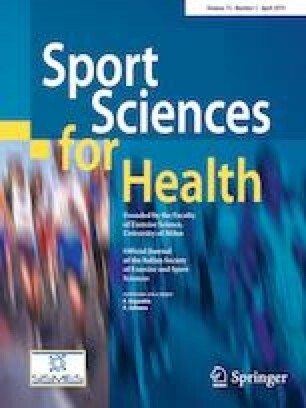 The purpose of this study was to analyze the changes which occurred after a supervised aerobic exercise program in the blood pressure (BP), cardiorespiratory fitness and body mass in overweight individuals. Sixty-one individuals (65.6 ± 6.5 years, 31.16 ± 4.76 kg/m2) performed an exercise program consisting of 1 h sessions of aerobic exercises, three times/week for 6 months. Resting systolic and diastolic BP, cardiorespiratory fitness [6-min walk test (6MWT)] and body mass were measured three times; at baseline (T0), after 3 months (T1) and after 6 months (T2). Results showed significant (p < 0.05) changes in systolic BP, diastolic BP and the 6MWT at T2. Small and statistically no significant changes were observed in body mass. Greater significant changes were observed in BP measures and the 6MWT at T1 compared to measurements at T2. A significant relationship between changes in resting systolic BP and diastolic BP (r = 0.47) was found but not between changes in other variables. It could be concluded that a 6-month exercise program based on aerobic exercise has beneficial effects on cardiovascular risk factors regardless of body mass loss. These findings highlight the importance of lifestyle interventions focusing on increasing physical activity rather than focusing on body mass loss alone. This study complies with the ethical standards of the Ethics Committee of the University of the Basque Country on Research on Human subjects and performed according to the ethical standards of the 1964 Helsinki Declaration.